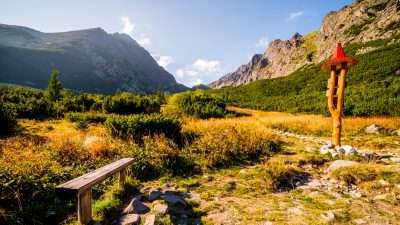 Our self guided walking holidays in Slovakia cover the area of the High Tatras, Slovakia’s highest mountain range which is the first official Slovakian National Park. The trips are filled with breathtaking views of the Tatra peaks and ridges. Explore the highest part of the mighty Carpathians, the High Tatras. 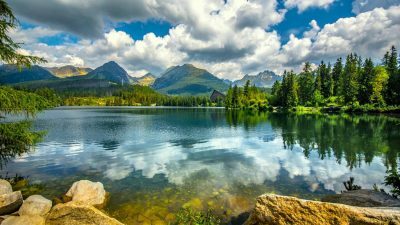 The High Tatras Complete self guided walking holiday in Poland and Slovakia runs through breathtaking mountains, small villages and towns located in picturesque valleys. Accommodation is in high quality 3 and 4-star hotels. 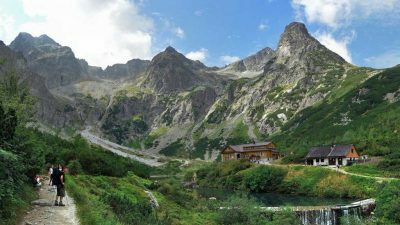 Enjoy the breath-taking scenery on this classic hut to hut trek in the High Tatras in Slovakia. Experience exhilarating walking in the spectacular national park, established in 1949, with striking landscapes of dramatic mountains, snow-capped peaks and green alpine pastures. Our Slovakian The High Tatras In Style self guided walking holiday lets you explore at a slow pace Slovakia’s highest mountain range. Accommodation is in luxury 4-star hotels. The last two nights are spent in a unique 4-star hotel at Strbske Pleso lake, one of the most beautiful lakes in the High Tatras. Where Do our Walking Holidays in Slovakia Take Place? 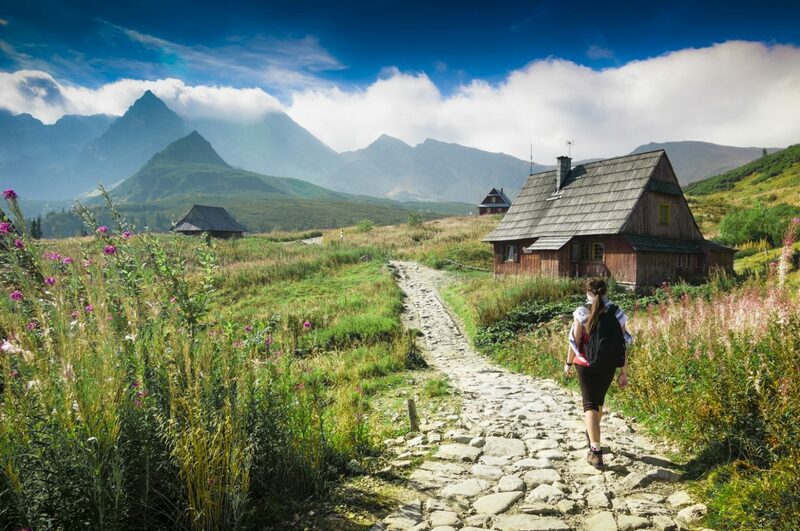 Our Slovakia walking holidays let you explore Slovakia’s highest mountain system, which is also the first Slovak national park established in 1949. 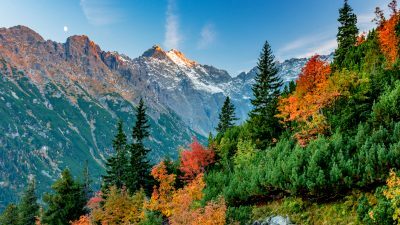 The High Tatras are a mountain range along the border of northern Slovakia in the Prešov Region, and southern Poland in the Lesser Poland Voivodeship. The major part and all the highest peaks of the mountains are situated in Slovakia. The highest peak is Gerlachovský štít, at 2,655 metres. 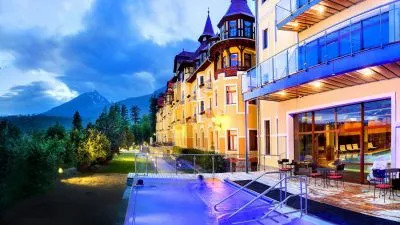 The High Tatras, having 29 peaks over 2,500 metres are, with the Southern Carpathians, the only mountain ranges with an alpine character and habitats in the entire 1,200 kilometres length of the Carpathian Mountains system. Many rare and endemic animals and plant species are native to the High Tatras. They include the Tatras’ endemic goat-antelope and critically endangered species, the Tatra chamois (Rupicapra rupicapra tatrica). Predators include Eurasian brown bear, Eurasian lynx, marten, wolf and fox. The Alpine marmot is common in the range.